NetEquity.com works extensively with the popular Cisco ASR 9000 Series carrier routing platform. If you are a service provider or enterprise user interested in buying or selling used or refurbished Cisco ASR9000 systems, chassis, line cards or accessories, contact us today for information and pricing. 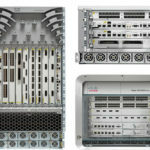 The Cisco ASR 9000 Series router is a proven and popular, carrier-class distributed forwarding router platform designed for high bandwidth, multilayer Ethernet switching and aggregation. The Cisco ASR9000 is often deployed at the edge of a service provider MPLS (Multiprotocol Label Switching) network as a label edge router (LER), with links extending outside the MPLS network. 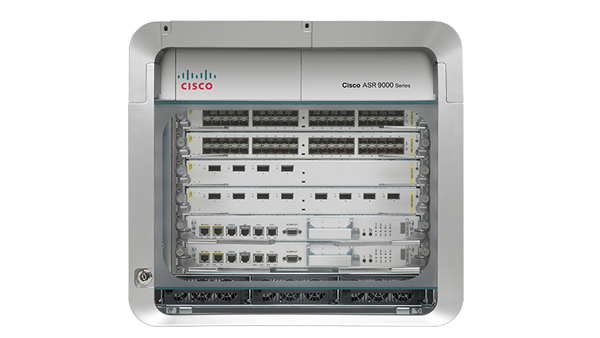 The Cisco ASR9000 also provides access and aggregation services for enterprise networks while offering redundancy, security, power and other requirements demanded by service providers. The ASR 9000 router platform is a common choice for aggregating Ethernet service traffic from Gigabit Ethernet devices, combining these services to 10 Gigabit Ethernet IP, MPLS edge, or core. Running Cisco IOS XR Software, the Cisco ASR9000 supports Flexible Ethernet configurations including Ethernet virtual connections (EVC), Flexible VLAN classification, IEEE bridging and 802.1s Multiple Spanning Tree (MST) capabilities. Other standard ASR9000 platform features include L2VPN, Multicast support, OAM, Layer 3 routing, QoS, and MPLS TE. The Cisco ASR9000 Supports a wide variety of Ethernet Line Cards, Switch Fabric Cards, Route Switch Processors, Integrated and Virtualized Service Modules and SPA Interface Processors. If your company or organization has any Cisco ASR9000 product sourcing needs, simply contact NetEquity.com for a fast turnaround, short lead time quote on your specific requirements.